Bollywood has witnessed many a ‘slice of life’ films trying their luck at the Box-Office. This week’s release is the Shah Rukh Khan-Alia Bhatt starrer DEAR ZINDAGI, which also happens to be of the same genre. Will DEAR ZINDAGI breathe ‘life’ at the Box-Office or will it prove ‘Dearly’ to its makers, let’s analyze. DEAR ZINDAGI is a slice of life film, which gives an introspective insight about the various challenges that life offers to an individual and the way each one deals with these challenges. The film starts off with the ‘on-the-sets’ introduction of the extremely talented cinematographer Kaayra (Alia Bhatt), for whom work perfection towers above everything else in life. Not the one to make any kind of compromise in her work, she also harbours a heartfelt dream of directing her full-fledged feature film some day. One day, she gets a dream offer from Raghavendra (Kunal Kapoor), for co-directing a prestigious feature film on the foreign shores. Since Kaayra is in love with Raghavendra and vice versa, Kaayra becomes extremely happy thinking that she would be able to combine work with pleasure. Even before the feeling of her dream coming true sinks in, she gets a shock of her life when she gets to know that, Raghavendra has got engaged to his ex-girlfriend on the foreign shores. This news totally shatters the visibly distorted Kaayra. That’s when she happens to meet the renowned psychiatrist Dr. Jehangir Khan aka Jag (Shah Rukh Khan). Thereafter starts her therapy session with Jag. It is through these sessions that Jag gets to know that Kaayra has been silently suffering from many issues caused during her tender childhood. Gradually during the therapy sessions, a strong bond develops between Kaayra and Jag, so much so that she openly confides all about her past and present day happenings to Jag. While doing so, Kaayra realises that she actually has fallen for Jag. What happens to Kaayra in the end, whom she chooses to spend her life with, does the counsellor-patient relationship between Kaayra and Jag get converted into a love relationship, is what forms the rest of the film. The story and screenplay (Gauri Shinde) of DEAR ZINDAGI is a sincere attempt in the genre of slice of life. One has to really give it to Gauri Shinde for having tried to present the complications of life in a simplified manner. The irony of the film remains in the fact that, despite the film’s characters being relatable, the proceedings of the film are simply opposite. All of this may make the audiences fail to find resonance with it. On the other hand, because of the film’s dialogues (Gauri Shinde) being extremely lucid, it will definitely find its echo amongst the viewers. The film has got its humour intact and in right proportions. Do not miss scenes like Shah Rukh Khan’s introduction, the first meeting between Shah Rukh Khan and Alia Bhatt and Alia Bhatt’s emotional outburst during the pre-climax. When Gauri Shinde made her directorial debut with the Sridevi starrer ENGLISH VINGLISH, she showed immense spark of a director with an ability to not just touch the chord of the audiences, but also stir it with her story telling and directorial abilities. While her attempts to make DEAR ZINDAGI in the same league of ENGLISH VINGLISH seems visible in every frame, what does not work in the film’s favour are its length (mostly the second half), its disconnect with the audiences and the snail-paced narrative of the film. If that wasn’t enough, despite the flying start in its first half, the film gets preachy and sermonising, which lands up testing the patience of the viewers. For all those who want to see Shah Rukh Khan and Alia Bhatt in their elements are bound to feel a bit disappointed, because the film starts behaving like a therapy session in its second half. Despite all this, one has to give her full credits for having extracted the best performances from the entire star cast of the film. As for the performances, DEAR ZINDAGI finds its true calling in Alia Bhatt and Shah Rukh Khan. After having done the hard hitting UDTA PUNJAB, Alia Bhatt has once again proved, with DEAR ZINDAGI, that why is she one of the finest actresses of Bollywood. Film after film, Alia Bhatt is simply growing from strength to strength. The flawlessness with which she infuses emotions in her character is something that needs to be seen in order to be believed. Alia Bhatt’s portrayal of a naive and ingenuous girl comes across as pleasant and striking. Be it Kunal Kapoor, Ali Zafar, Angad Bedi or Aditya Roy Kapur, the onscreen chemistry that Alia Bhatt shares with all her co-stars is simply amazing. But, what really takes the cake is her impeccable onscreen chemistry with Shah Rukh Khan that grabs the audiences by their collar. Shah Rukh Khan, on the other hand, does an equally fine job with his character. What makes DEAR ZINDAGI different from other Shah Rukh Khan starrers is the fact that, in this film, despite Shah Rukh Khan being the ‘hero’, does not let that overshadow Alia Bhatt even a bit. It is this factor that works tremendously in the favour of the film. One cannot deny the fact that DEAR ZINDAGI definitely is Shah Rukh Khan’s finest and matured role after CHAK DE! INDIA. The rest of the actors (Kunal Kapoor, Ali Zafar, Angad Bedi, Ira Dubey and Aditya Roy Kapur) excel in their respective roles. Even though DEAR ZINDAGI does not have any superlative music (Amit Trivedi), the songs are not thrusted and do not act as a roadblock in the scenes. The film’s background score (Amit Trivedi) contributes decently to the film’s progress. The flip side of DEAR ZINDAGI is that the movie is devoid of chartbuster music, romance and action. And this absence will be felt in small town and cities where the audience will find the movie bereft of any entertainment. While the film’s cinematography (Laxman Utekar) is decent, its editing (Hemanti Sarkar) could have been more tighter towards the second half. 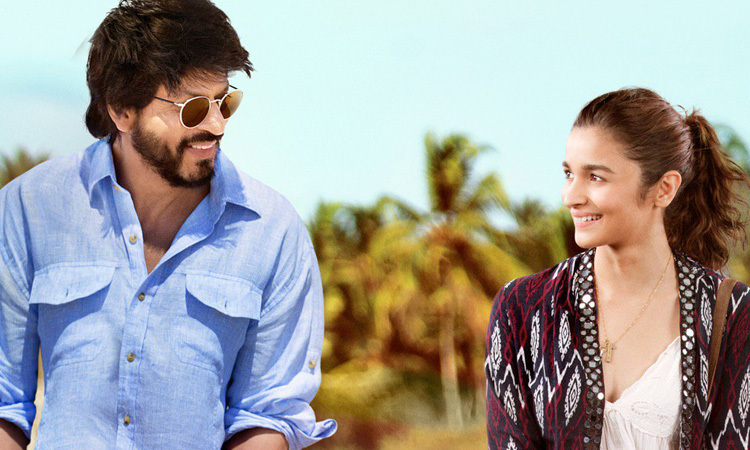 On the whole, DEAR ZINDAGI comes across as a slow-paced cerebral and contemporary slice of life tale about the challenges today’s generation of girls face in a rapidly shifting landscape. At the Box-Office, it will appeal only to a niche segment of the multiplex audience on account of lack of entertainment value as well as its abstruse and esoteric treatment. It will therefore find the going tough at the box office.